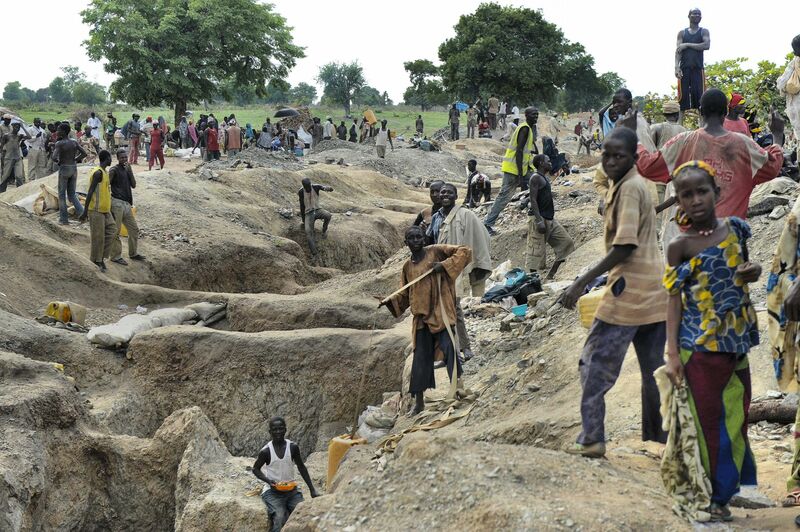 Artisanal gold miners, Northern NIGERIA. 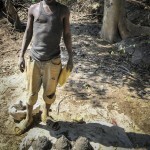 As a mineral exploration geologist I have worked internationally in developing countries for the past 20 years and I have been observing and documenting artisanal miners. 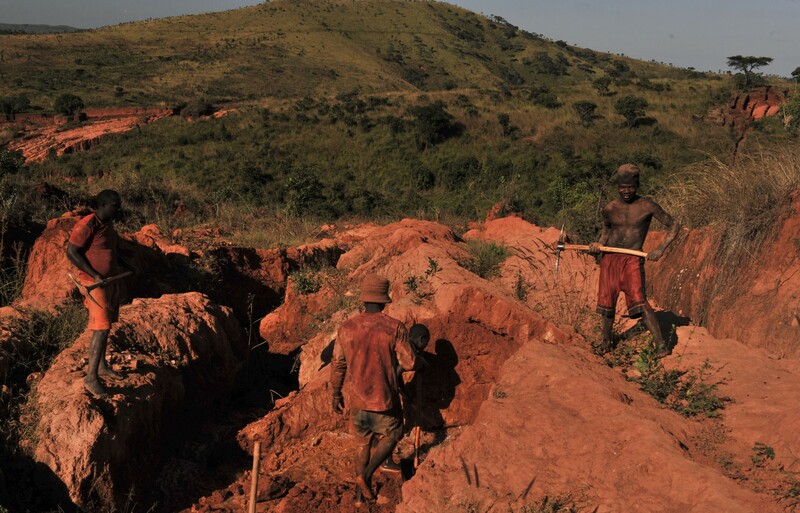 Artisanal mining (subsistence mining) is an important economic activity in impoverished remote communities living in mineral resource-rich countries. 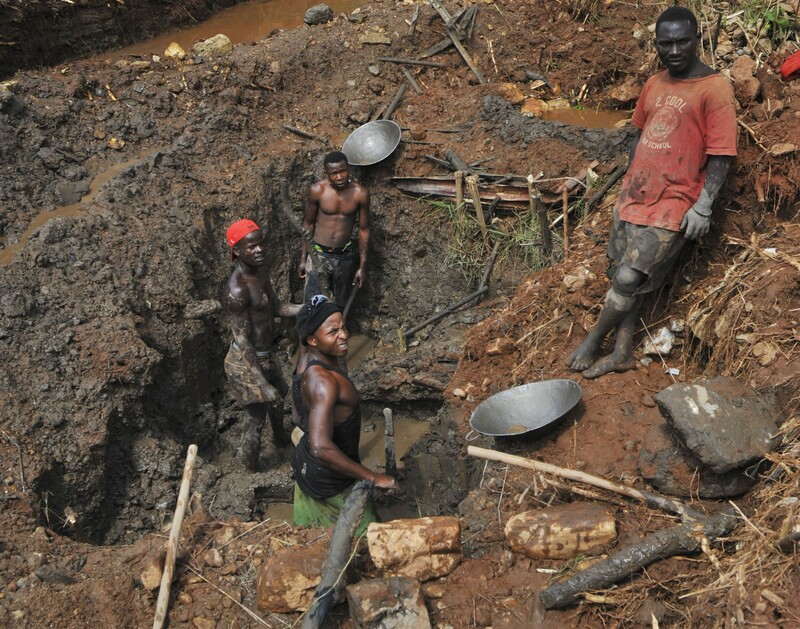 Artisanal mining is often the sole source of income and is conducted by individuals or small collectives. 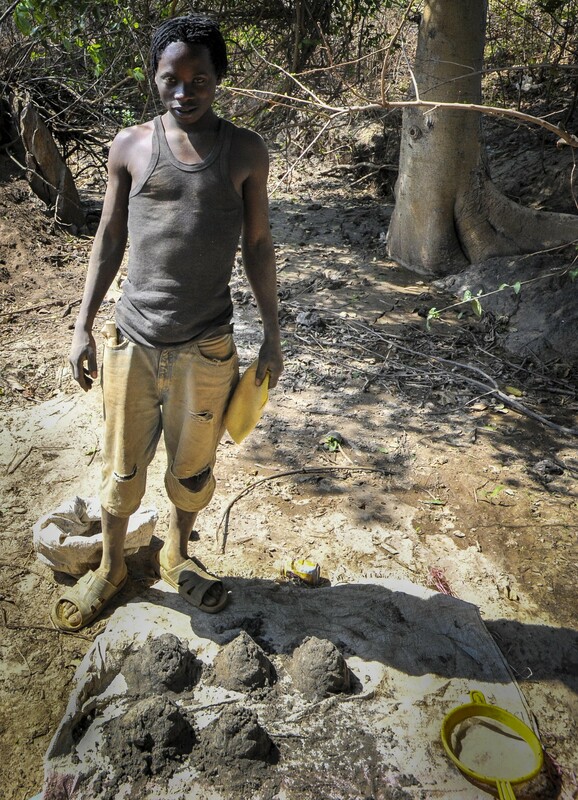 It may be seasonal in nature and is often an alternative source of income for rural farmers in the dry season. Others travel site to site from great distances. 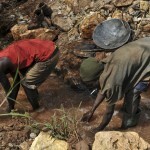 World Bank estimates in excess of 20 million artisanal miners are working in more than 80 developing countries. This activity is extensive and dates back 1,000’s of years. It is characterised by hand tools and is labour intensive. 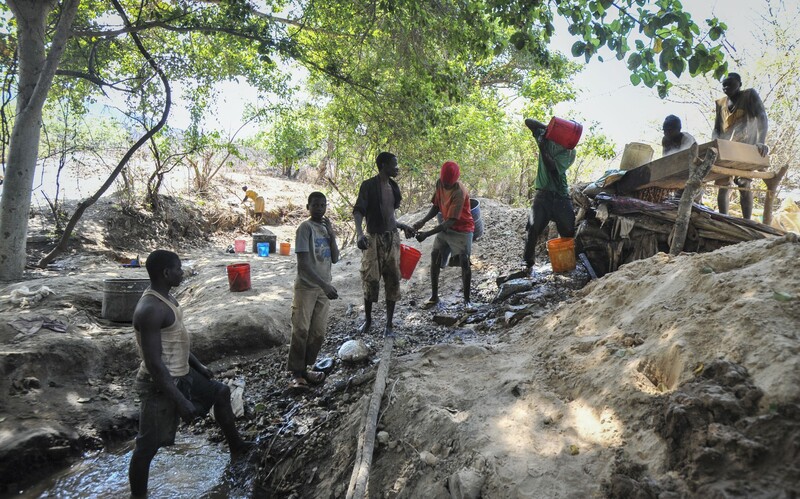 Some sites experience violence predominantly when conflict emerges between local communities and artisanal miners from other regions or countries. 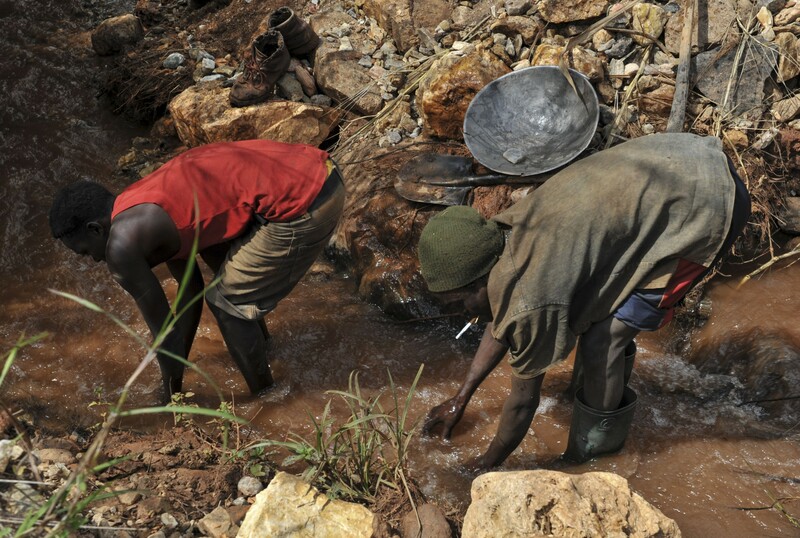 There are many other social issues that arise from the development of these sites including use of child labour, use of mercury to extract gold, health and safety issues, potential conflict to access the most prospective ground, damage to water supplies and land pollution. 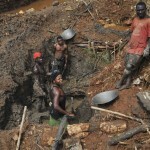 Certain countries have moved towards regulating artisanal miners, establishing legal frameworks to recognise their title as subsistence miners. 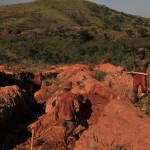 In countries where the government recognises artisanal miners they are granted small scale leases. 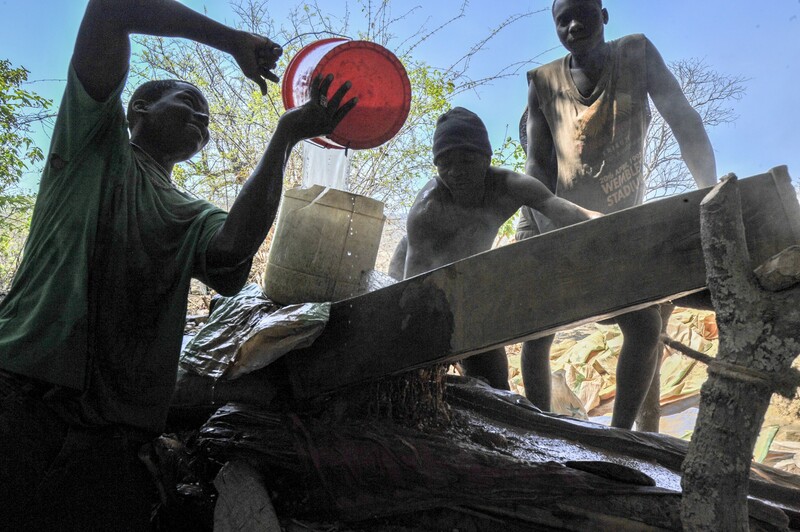 International organisations are now providing training programs to improve technical practices and limit environment and social impacts to local communities. I try to capture this activity in photographs and document the people and communities involved. 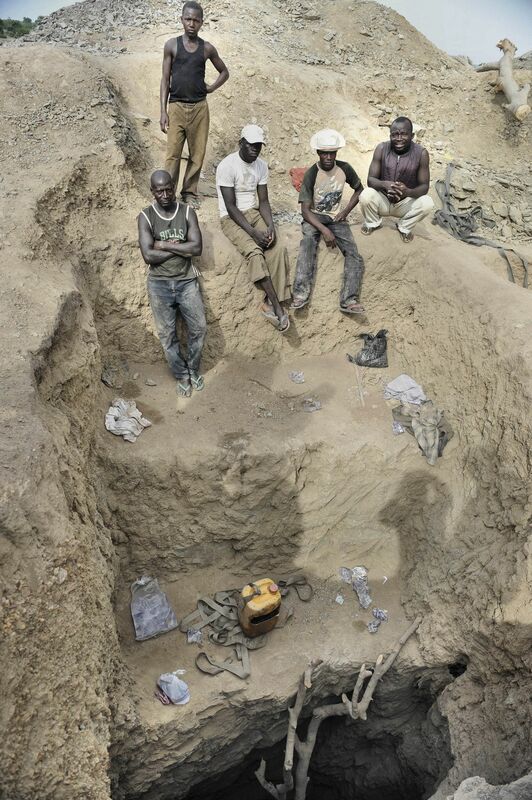 The artisanal miners photographed in northern Nigeria were mining a narrow high-grade gold quartz vein. 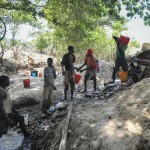 A community had developed around the site with women and children selling food and supplies. Areas being worked are allocated to specific groups. 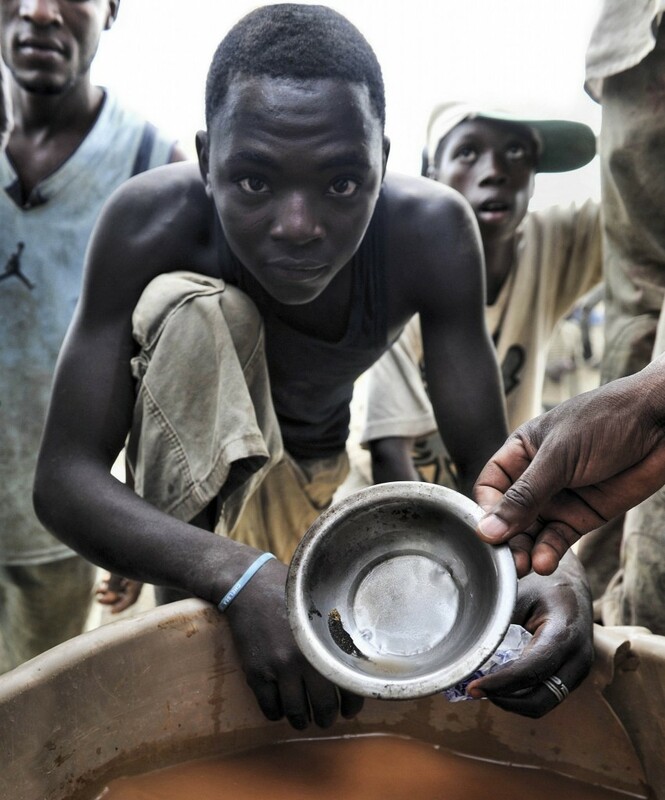 Child labour is commonly used where the size of the openings are small. 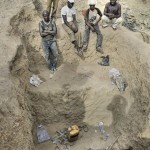 The four strongest young men had dug to 50m depth, significantly deeper than the adjacent claims. They appeared to be the dominant males at this site. They agreed for me to take photos, but were aggressive. 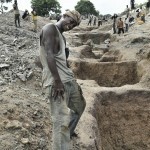 These miners were from Niger and had crossed the border into northern Nigeria to work this site. Some sites are extremely dangerous. Drug use can be a big issue. One site I visited in Democratic Republic of Congo I was only permitted to leave the vehicle briefly to look at the activity and return immediately. 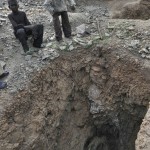 That site was being guarded by a man on the ridge of the workings holding an AK47, who looked crazy. He was a mine workers union representative exploiting the young workers, paying them minimal for their labour and selling the product, as they were mining someone else’s lease. When I appeared at the top of the ridge all the workers (>100) stopped, turned to me and started chanting loudly, thrusting their shovels and picks in the air. A frightening site. I did not take a photo. 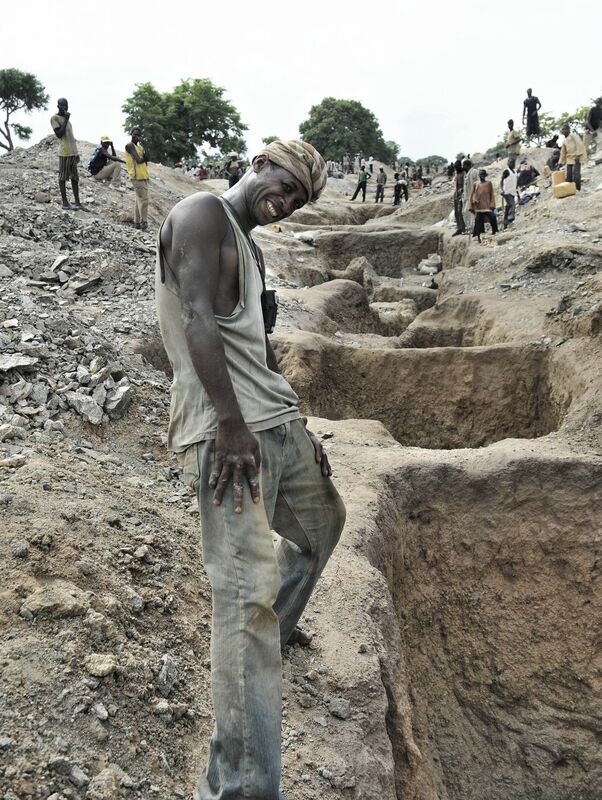 This small scale labour intensive mining activity is not guaranteed to be profitable for all or any of the artisanal miners. 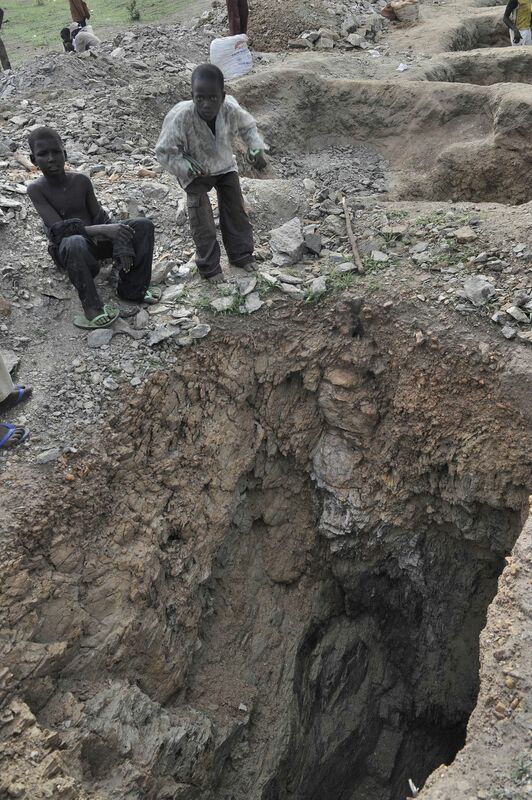 Young boys working at artisanal mining camp, Northern NIGERIA.